A portion of the interview aired live as a FIRST ON CNBC interview on CNBC Asia following Disney’s Investor Day presentation yesterday, Thursday, April 11th. 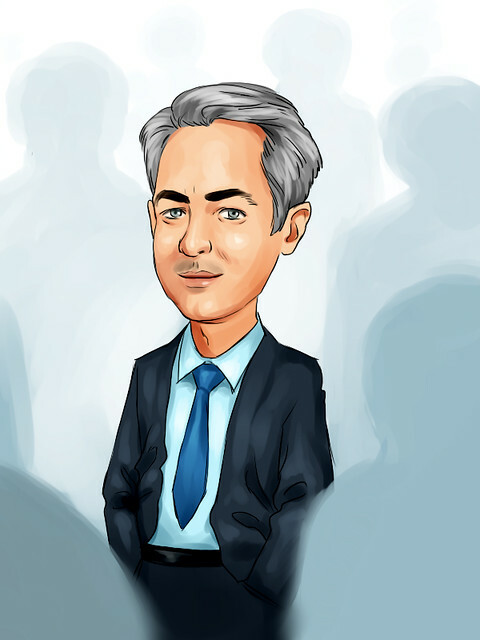 DAVID FABER: We are joined by Bob Iger, of course, Chairman and CEO of Disney, after really a very important day for the company, an investor day long in coming, much awaited. And you didn't disappoint. I will tell you, at least from my perspective, in terms of inundating us with content and then giving a lot of the specifics the investment community has been clamoring for. But let me just start with the big picture if I can, Bob, which is you clearly are pointing in a different direction for this company in terms of the way it goes about distributing the amazing content that you create here at Disney. Why is that something that you feel is necessary to do, and necessary to do in such a significant way as you detailed today? BOB IGER: Well, I think you have to look at not only the way the world is going, but we had to assess what the biggest opportunity was for the company to grow over the long term. And clearly-- consumers are enjoying kind of a different form of entertainment in the home. One that is over the top and not necessarily connected to a traditional satellite or cable distributor, distribution model. One that has a significant amount of choice. One that enables the consumer to customize or to have personalized experiences. One that can be watched seamlessly on multiple devices. And so, it was clear that, given the company's ability to create content that people love, why not give people content that they love, but on platforms that they've becoming-- that are becoming more and more interesting to them, more and more compelling to them? BOB IGER: Well, as we demonstrated at the beginning of this presentation, you know, we have almost 100 years of creating great content that the world loves. Under Disney and then Marvel and Pixar and, of course, Star Wars. And then adding National Geographic to it. And I think when you start with a brand base that is that strong, then you're-- you have an advantage basically in the marketplace because of the-- you know, the love that people have for that brand. And the desire to be entertained by it and spend money on those brands. We've seen that in multiple ways as a company. And while I grant you that on this-- in this new world or in-- you know, in this new medium-- monetization-- is, you know, still may be nascent. Do you want to – sorry. BOB IGER: I grant you that, you know, in this new world while we're still really learning more and more about monetization, you know, we entered this business I think with real strength in terms of the brand affinity that our products have. I think that gives us not only the ability to reach more people, but it gives the ability to do so in more economically viable ways. DAVID FABER: --when you do say you're going to be profitable by fiscal year 2024? BOB IGER: Yeah. I don't think-- interestingly enough, we're pricing this to be accessible to the millions and millions, if not hundreds of millions of Disney fans and Marvel fans and Pixar fans and Star Wars fans that are out there. And I think that's what-- that's where you have to start. The base-- the sheer number of people worldwide that know our brands, that interact with our brands on a daily basis, that spend money on our brands, is huge. And no other company has that. So, well, I think Netflix has done a good job of creating brand value and name value and I think a product that I think is considered of great value to a lot of people, they're still building their brand in many respects. Whereas in our case, we start with a customer relationship that in many respects is visceral. As I mentioned, you know, I was taken to see Cinderella by my grandparents when I was I think four years old. And I watched that movie with my grandchildren. That’s five generations of Igers that watched that movie. There's a connection that my family has to these stories and to these brands. And so, if I see the opportunity to buy Disney Plus and I can watch it on all these devices and I can download the movies and I'm going to watch original product, but I'm also going to watch things from the library, that's something I know that I'm going to want. DAVID FABER: Nobody disputes the power of the brand. I think it's apparent to everybody. And the evergreen nature of it that you just mentioned in terms of spanning generations. But there are those who say, ‘You know what? You have a great model now, even with the bundle starting to lose certainly, lose carriage.’ Nonetheless, the license fees that you're going to forego, as a result of now putting so much of your own content on the platform, are significant. Some say as much as $2.5 billion in incremental profits in '19, perhaps as much as $5 billion a year by the early 2020s, that you're foregoing in license fees. Why is that the-- is it the better way to go? BOB IGER: Because I think there are platform economics that-- that trump license fees to third parties. We can start with the affinity that people have to the brand. They want to be connected to it. But obviously-- the ability to have a direct relationship with the consumer gives us I think an opportunity to, in having that relationship with them, to monetize much more effectively. Knowing your consumer gives you the ability to, as a for instance, give them a more compelling experience, and have a connection. Now also, I think is obviously is if you look at the Disney consumer, they're going to movies in movie theaters. They're renting or downloading movies in their home. They're buying consumer products, they're visiting our parks. They're sailing on our cruise ships. And I could go on and on. And-- and interestingly enough, now that's true with Marvel and Pixar and-- and Star Wars across multiple businesses. If suddenly your customer relationship is much tighter, if your-- if the proximity between you and a customer is better, then you're going to serve them a lot better across your platforms. And you'll monetize, you know, that—call it broadened, deepened relationship. BOB IGER: Whereas in the -- you know, if you look at this company over the years, where we've distributing movies through movie theaters, and the movie theater's the relationship with the customer. Even though it's our product that is touching the hearts and basically, becoming part of a deep and happy memory. The cable-- channels or the satellite -- the channels are distributed through satellite providers and cable providers. The customer relationship is theirs. The consumer products are usually sold by big box retailers. The customer is theirs. Or by Amazon, I could go on and on. We have a customer relationship with all these folks through third parties. And other than our theme parks, where we have a direct relationship, we don't know who these customers are. And in knowing who they are, I think we have an opportunity that is extraordinary from a bottom line perspective. FABER: So it's worth the many billions in costs that you're going to see between now and 2024? DAVID FABER: --this has got to work. In other words, if five years you find yourself not getting the projections than perhaps you had, the model's not going to necessarily be in the right place. BOB IGER: Well, I am-- you know, I am an optimist. I'm a realist, but I'm an optimist. And I've been at the company for 45 years. I've been president or COO since 2000. And I have a-- you know-- a strong understanding of or a deep understanding and appreciation of Disney and its brand and its relationship to consumers. And so, I'm pretty optimistic about the ability for this thing to work, particularly when we make it accessible because of the content we're putting on, because of the user interface and because of the price. So, I believe this is going to be successful. If, in five years time, it proves-- I prove to be wrong or we prove to be wrong, we're still making great content that's going to be in great demand globally. And you can shift in a moment and license to third parties. DAVID FABER: You can-- pretty quickly if you needed to? Not that you're necessarily going to because, of course, you expect it to be successful. BOB IGER: I do. I don't want to dwell on that for that reason. But I don't think that's really an issue. Look, you're building up library value regardless. DAVID FABER: Right. Right. You know, you mentioned, of course, theatrical-- display. There's been some questions about windowing, whether or not the service over time is going to start to see some of your original content when it comes to even the big movies, sooner than it otherwise would. Is that a possibility? BOB IGER: This is really not about windowing to us. Because frankly, those other windows are really working for us. It was mentioned earlier that our studios had two years, where they've had over $7 bil-- billion in global box office. By the way, that's only on about, what, ten movies a year. So that's really working for us. And if it's not broken, we don't want to try to fix it. I don't really think for us there would be any more money in it if we were to put those movie on the -- on the service a little earlier. Don't forget, in that window after it's available in first theatrical run, these movies will be available for a form of rental or download or purchase. Physical copies are still being sold. DAVID FABER: You were asked towards the end of the presentation today-- you know, you're going to have free services in the marketplace, obviously. Disney Plus, which we've been talking about here, Hulu and ESPN Plus, which already is in the market now. Do you run the risk, particularly when it comes to Hulu and Disney Plus, both operating at scale, of confusion amongst the consumer, or with the different interfaces? I just wonder whether there's a way to sort of consolidate that offering that perhaps is more efficient for you. BOB IGER: I think we were a convenient scapegoat in that regard. I think all of the channels—look, I know that ESPN charged more per subscriber than a lotta the other channels. But I think you have to look at the value that was created there, both for the consumer and to the distributor. The advertising rates on live sports, the distributor, the cable company, the satellite have traditionally been better, for instance. And those channels are in demand. And, look, it's an open marketplace. And the more in demand you have, the more pricing leverage you have. I don't think that ESPN should be blamed for what we're seeing today. I think you just have just different-- you have a different consumer today. And the more choice that has entered the market. DAVID FABER: Well, your grandkids or kids or my kids, they're not going to subscribe to this bundle. That's just not happening. DAVID FABER: You believe that, don't you? DAVID FABER: We can always hope. BOB IGER: --continue to-- to have value and people will be will be interested in it. But I think long term-- again, if you consider that linear television is maybe less popular than just television, than programs. And, you know, we're in the short, you know, in the short term, we still are still very supportive of the channels that-- that we own and that we're distributing. We're going to continue to put resources behind them to create great programming. I think long term, you have to-- you have to put the consumer first. So, if-- going all the way back to how this started, if we put Hulu and ESPN and Disney Plus into one product, the only way you can get these things is one, that's doing exactly what the consumer today doesn't want. Now, if there are consumers that want it that way, we'll give it to them that way. And hopefully, ultimately, in all three, one username, one password. Make it really easy for them to do it and a discount. DAVID FABER: A discount, right? BOB IGER: Yes. But we still have ownership issues as it relates to Hulu to accomplish that. DAVID FABER: Bob, when you think about the evolution of this business, and when you get to a more mature phase in this new undertaking that you’ve discussed today, will it have the same margin characteristics or probability of the good old fashioned business of having your networks carried on a cable system that was so profitable for so many years? BOB IGER: Well, we’re not projecting what margins will be, but again, I think that there’s huge system economics in owning a platform and attracting customers directly overtime, and giving us the ability to attract customers of Pixar, Marvel, Disney, Star Wars and National Geographic. In other words, in past if you went at it with channels, Marvel didn’t have a channel – Marvel, though, might have a channel, and Disney would have a channel, and Nat Geo has a channel, and you know, there’s I think a lot of waste there. So, if you really look at margins, this is one platform for all of them. So, and again, a direct relationship with the customer, we have the ability to basically interact with, not just in this business but across the board. Think about it, ultimately, the relationships we have with them going to our movies and our parks and-- so I think that long term the value creation for this is better for us based on the investment we’re making than what we’re currently doing. DAVID FABER: And I mean, again, that the direct-to-consumer relationship you’ve mentioned a couple of times. So, you can market to people, I assume, who walk into a theme park. Do you give them a free trial or something like that? BOB IGER: --and you know, that, which, right now, almost all of them are done through third parties. There’s no reason why that can’t be done through this. Meaning, for purchase in that window down the road. Just as a for instance. Or possibly selling tickets to movies and packages to theme parks. And I think there’s a lot that can be done because you’ve got a fanbase that is so interested in interacting with the brand in multiple ways. DAVID FABER: But, I wonder, just in the larger sweep of sort of history, in terms of business, there are many companies that did not do what they should have, which is change their model, and they didn’t leave their old business, and they suffered dramatically. You are doing what many believe you have to do in order to change the trajectory of the business. But, just because you go from one house that’s getting – it’s a really nice house, but now it’s getting flooded all of the time, and move to another house, it doesn’t necessarily mean that that house is any better than the one you’re leaving, it could be worse, but it’s not getting flooded all of the time. BOB IGER: Okay. I’ve got to try to follow that. DAVID FABER: I mean, I guess I’m just wondering, is the business that you’re going towards going to look like the business you are moving away from? BOB IGER: No, but the world isn’t going to look that way, either. If you measure against the present, the present doesn't stay the present for very long. In fact, in today's world, it's changing so much, the marketplace has never been this dynamic. Meaning speed of change is much faster. And that’s technology, that's consumer behavior driven by technology, it's economics, it's how things are marketed, anywhere you look. So, you can't measure against what it is today. You have to measure against what you believe it's going to be tomorrow. And I think one of the reasons why companies fail to innovate is they continue to measure it against today. So, if you're in the business of selling film, physical film, you want to keep selling as much of that film as you possibly can. And you're not really thinking, and-- and you believe you may hit a speed bump here and there, whether it's the economy or new competitor enters the marketplace. But you're not really thinking it's going away. DAVID FABER: --to understand what your business is, which is not about film. It's about capturing images, right? DAVID FABER: --model. But you are obviously not wedded to the distribution model that you’ve been following for years. BOB IGER: And the monetization model. What we’re wedded to is we’re wedded to creating great content that is branded. That has served us extremely well. What we also believe is that no matter how much the business—sorry, the marketplace changes, no matter how much technology changes how people are told stories or get their stories, we’re still going to be relevant, but only if we enable ourselves to be distributed and purchased by the consumer in more modern ways. If we stick to the old, that, to me, is a recipe for ultimate distinction—extinction, I’m sorry. Distinction would be going the other way. DAVID FABER: Yes. Extinction. How much of Netflix’s current value do you think has been derived as a result of things that were produced by Disney? DAVID FABER: --value that’s been created as a result of your content. BOB IGER: Definitely. They derived value. Value where they stood up and paid a significant amount of money for it at the time, because they realized its value. And then, after that, they licensed television shows. And after that, they licensed original television shows. The Marvel shows. And I think that clearly, what we licensed to them was important to them from a value creation perspective. And I don’t begrudge them having done that or us – nor, do I second guess the fact that we did it. DAVID FABER: Or that you did it as long as you did it? BOB IGER: No. I’ll tell you why. First of all, we did extremely well licensing our content to Netflix. We're launching this product, because we are ready to launch it. We wouldn't have been ready to launch it two or three years ago. BOB IGER: We wouldn't have even been ready to talk about. It takes technology it. It takes content. It takes the talent to make the content. It takes a marketplace. You could argue that what Netflix has done has actually been good for us, because they've seeded the marketplace to robust, over-the-top-- content distribution and presentation. And so, I like launching when we are launching, and, believe that it's a great time for us. And the Fox acquisition had a lot to do with it. Something interesting, David, that I've observed, and I don't think I've said it publicly. But we announced that we were doing this in 2017. So, just the Summer of-- it was less than two years ago. It was actually June of 2017 that we decided to do it, and that led to the purchase of BAMTech. And then the opportunity to buy Fox first came up later that year. In fact, just a few months after the board approved us buying the majority share of BAMTech, which was done for one reason, to go into the direct-to-consumer business, Rupert and I sat down and talked about a transaction. We would not have done that transaction had we not decided to go in this direction. Because, if we hadn't, we would have been looking at that business through a traditional lens: Oh, we're buying TV channels. We're buying more movie-making capability, et cetera, and so on. But by the time the acquisition opportunity came up, and we knew we were going in this space, we evaluated what we were buying through this new lens of: Wow, what could National Geographic mean to us? What could be-- what could it mean to us being in the direct-to-consumer space in India? What could it mean having access to their library, not to monetize it through traditional means, but to do it through this? Bam, I mean, the light bulb went off. DAVID FABER: Bam. Thirty years of the Simpsons. DAVID FABER: That's -- I’m not kidding. BOB IGER: But that's a perfect example of what I’m talking about, or an example. It just maybe proves the point. Ag-- again, we, which maybe speaks to why people don't acquire companies too, because you try to measure what you're acquiring in a traditional sense. Our decision to buy Pixar, Marvel, and Lucas film was made because we believed that great storytelling would stand the test of time. And no matter how much the marketplace was disrupted, whether it was cable and satellite, movie theaters, traditional television, you name it, a great story well-told, really, a story well-told, was going to succeed, meaning as a, you know, an investment or as a financial proposition no matter what. DAVID FABER: Now, you mentioned the Fox deal, of course. Something I followed closely. By traditional measures, particularly given the fact you had to increase your bid to compete against Comcast and then, well, we don’t know where the RSN sale ends up. The multiple seems fairly high for that business. Do you feel by the traditional measurements, though, that it’s going to have been a deal well worth having done? BOB IGER: Well, look. We're very early into this process. And I've never second-guessed decisions that we've made, and I'm certainly not going to second-guess this one, not at this point, anyway. So, I'm confident. Sitting in the audience today and watching what we were presenting, and seeing National Geographic be part of it and the Simpsons be part of it, and some of the films in the Fox library, knowing there was a team in place in that room that has done a phenomenal job of creating scripted television over the years, made me feel great about that acquisition. BOB IGER: Well, we announced-- we talked about that number, yes. DAVID FABER: Are there more to come? I mean, I know there's been job losses associated with that, as there would be when you're putting these two together. Is there more to come there, or are you largely through the job cuts? BOB IGER: No, no, no. We're just beginning a consolidation process across the world. We've been-- we've been candid about that with people in the organization. There's work to do to get to the synergies that we talked about, which are cost synergies. We have consolidation ahead of us. DAVID FABER: So, there's more to come there. DAVID FABER: And do you think the $2 billion is --? BOB IGER: We're not updating-- we're not updating the number. DAVID FABER: Specific to the process itself, a couple of things as well to get to. I mean, the sales of the RSNs-- these regional sports networks, continues. I've been following that somewhat closely as well. It doesn't seem as though it's been going particularly well. Am I going to be surprised? BOB IGER: In what direction? DAVID FABER: No, you and I don’t. Exactly. 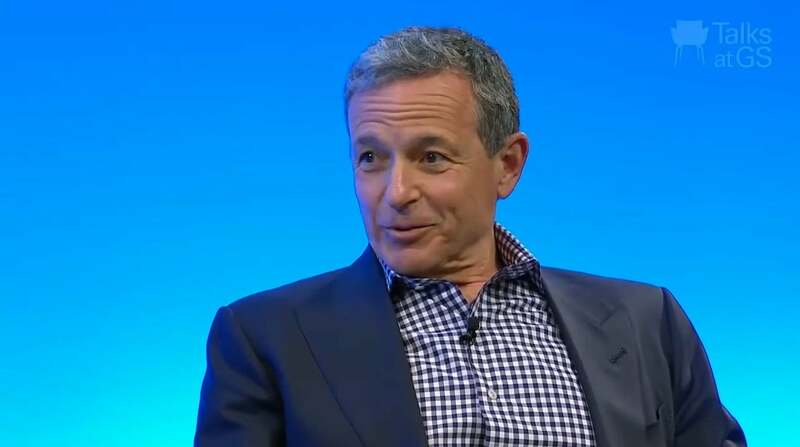 BOB IGER: We spent the day presenting Disney Plus and our other the direct-to-consumer services. We have an earnings call in a couple of week. We probably will know a lot more then, anyway. DAVID FABER: I would think so. I mean, we're kind of getting fairly close to when you would want to have that deal kind of near done or completed, right? BOB IGER: Our commitment to the, you know, Justice Department and the U.S. government was 90 days after closing. DAVID FABER: And finally, you know, ESPN. We haven't talked as much about ESPN Plus, which has been in the marketplace. Two million subs you talked about today in roughly ten months. But how should we view-- ESPN, the network itself that is still carried on, what, 80-something million subs or something along those lines, and ESPN Plus? I know the programming is different to a certain extent. Are you expecting ESPN subs to continue to decline in the traditional model in the bundle? And does ESPN Plus pick that up along the way? Or are they two different sort of models? DAVID FABER: But yeah, Bob. It’s going to. I mean, my god, we started this conversation in 2011. One of our few interviews back in August of that year is when it sort of started to at least reverberate in the marketplace. I mean, the sub numbers are going to continue to decline at ESPN. BOB IGER: Well, I think the sub numbers for the expanded basic model will continue to decline. We'll see what happens with ESPN. We're, you know, we don't have anything to say about it in between earnings calls. We typically comment about sub-figures during earnings calls. They're already breaking down the set today, I guess. Nothing more to say. DAVID FABER: --but that seems to be slowing as well. DAVID FABER: Will you know when it is? BOB IGER: I'm sure, yes. I'm sure-- I'm sure we will. But I don't see that—not-- I don't see it happening during my tenure here. Not that, by the way, I'm pushing off the problem to somebody else. I just don't think it's a problem we're going to have. But if there's a time when that the channel, the linear channel is no longer viable, then we've got the ability to flip a switch and go in this direction. DAVID FABER: When you talk about your tenure, of course, and I hope we do interviews for many years to come. But 2021, is-- it's, well, 2.5 years away still, right? DAVID FABER: You seemed to indicate in a meeting you were going to stick to it this time. BOB IGER: Yeah, that's right. DAVID FABER: That your time is-- but you're going to be right in the middle of this-- of this enormous transformation of the company, of this transition that we've talked about. Is that going to be frustrating to you? BOB IGER: No, it won't be frustrating to me at all. The most important thing is that the company get through the transition seamlessly. I believe that 2.5 years from now or roughly two years after we've launched this massive initiative-- the company will-- it will be well on its way, and the company will be well on its way in terms of success here. And it would be-- that will be the right time for a transition at the CEO level. The Fox acquisition will have been assimilated. We will be off and running on the direct-to-consumer space. Now would have been, and the reason that I stayed, now would have been tough. Primarily because of the Fox acquisition. But, as I said earlier, that was something tied to when we were planning to do direct-to-consumer. So, the timing was not right for the shareholders of the company. I actually would have been fine, you know, setting all of this aside and going off and who knows? DAVID FABER: And potentially running for office. At least, you were thinking about it. BOB IGER: That's old news, but not current news. DAVID FABER: No, it isn’t. Well, we’ve got you for a couple of years, and we appreciate you taking time today. Thank you.